← On Halloween – Ex Shaman, Donald Holsclaw’s views. Such an informative article, I decided to blog it! It’s by Bodie Hodge of AIG. For a list of Halloween posts from my blog, including my own TV interviews or my radio interviews with Former Occultists, please see my link. This article includes a short video clip and suggested resources. When did this holiday begin and why? How should Christians view this day in general? To understand these questions further, we need to go back to the roots of Halloween. On the down side, the holiday has become a time of increased crime in many places (especially arson and other acts of violence) on Halloween night as well as the night before. Even the author’s house was robbed one Halloween by forced entry. So, although the retail industry loves Halloween, many police officers and insurance companies dread it! Of course, there is also a tremendous amount of occult activity associated with this holiday. Kids and even many adults love getting dressed up for Halloween. And they love the candy, of course. It’s just innocent fun, isn’t it—or is it? 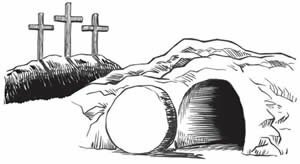 But let’s think carefully and biblically about the history, nature, and impact of the holiday. When did this holiday begin and why? Was it of pagan origins or is there something more behind Halloween history? How should Christians view this day in general? To understand these questions further, we need to go back to the roots of Halloween. When Did Modern-day Halloween Get Started? In the early 1900s, the migrating Irish and Scots brought Halloween traditions to the United States. Over time, Halloween catapulted into mainstream culture. I AM HESITANT TO CALL THIS A HOLIDAY, SINCE A HOLIDAY IS A “HOLY DAY” . . . BUT FOR THE SAKE OF THIS ARTICLE, I WILL CALL IT A HOLIDAY. A couple hundred years later, the Roman Church made November 2 All Souls Day to honor the dead. This may well have been influenced by the continued persistence of the day of the dead by the ancient Irish, Scots, and others in Europe. Standing against this, many Protestant Christians celebrate October 31 as Reformation Day in honor of reformers such as Martin Luther, John Calvin, and others who spearheaded the Reformation in the 1500s. Although many affirm that Samhain was the origin of modern-day Halloween, it is significant to note how many cultures throughout the world have celebrated a “day of the dead” (often with sacrifices), occurring at the end of summer and fall. There seem to be too many parallels to call these similar celebrations a coincidence. For example, in the Americas there is the Mexican Day of the Dead (El Día de los Muertos) that goes back to the ancient festival of the dead celebrated by Aztecs and the more-ancient Olmec. This was likely where the Guatemalans got their Day of the Dead. In Asia, there are similar festivals. For example, the Chinese celebrated The Ghost Festival, which was a day to pay homage to dead ancestors. The Japanese celebrated something similar called O-bon or merely Bon. Even Vietnam has a variant of the Ghost Festival called Tet Trung Nguyen. In Korea, there is Chuseok or Hankawi, in which deceased ancestors are ritualized. In Nepal, there is the cow pilgrimage called Gia Jatra to honor the recently deceased. In the Philippines, there is the Day of the Dead (Araw ng mga Patay), where tombs are cleaned and repainted. The list goes on and on (see reference 5). The annual Jewish holiday of the Day of Atonement (Yom Kippur) is celebrated in the fall, usually September or October.8 But it is distinctly different in purpose. It is not in honor of the dead. Rather, it deals with soul searching, repentance, and is a time of great sacrifice for the sins of the people ( Leviticus 23:27–28 ). So, there is some cross over, but God instituted this date. Archbishop Ussher was the 17th century historian who compiled The Annals of the World, a history covering every major event from Creation to AD 70. What Is the Original Source for Halloween? It seems no coincidence that cultures all around the world in both present and ancient times have had a holiday when the dead were remembered and animals were sacrificed. 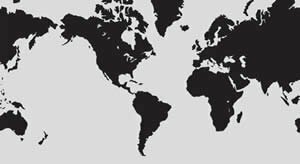 We can make a pretty strong argument that this holiday goes back to a time when all the peoples lived together—and then they took this holiday to various parts of the world. Otherwise, it seems strange and difficult to explain how these cultures developed celebrations that are so similar. 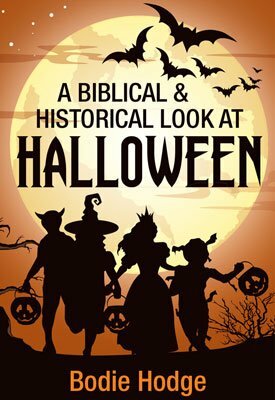 This would likely push the true origin of “Halloween” and these other “days of the dead” to the time before the dispersion at Babel (Genesis 11), over 4,200 years ago, after which different early cultures began to vary in its practice. According to Archbishop Ussher, the time frame between these events was about 106 years, with the Flood ending in 2348 BC and the dispersion occurring about 2242 BC. In this time frame, Noah would have still been alive, and Noah’s sons, too. We are not given much information in Genesis about the wives of Noah or his three sons, but Noah’s son’s wives were busy having children after the Flood, producing a total of 16 grandsons for Noah. And then their children had children, and so on! Were the days celebrated in honor of an ancestor or group of ancestors after they died? Perhaps the day was to celebrate at the time when a great patriarch or matriarch of a given family that left Babel finally died. The death of a great ancestor would happen to each culture sooner or later. But the odds of most of them dying in the late summer/fall is very low; therefore, it would be more difficult to explain the holidays all being at about that time. Was it a harvest festival of grains and animals, which were prepared for winter, thereby signifying death? Then, later was this festival transformed spiritually to honor the dead? This might explain the sacrifice of animals and why the holidays occur in the fall. But it fails to address why each culture deviated toward a spiritual day of the dead. Also, this doesn’t make sense for cultures that are in the southern hemisphere, where September and October are spring, not harvest time. Did Satan, the one who comes to kill and steal and destroy ( John 10:10 ), move throughout all the pagan cultures after the dispersion to develop these days of the dead? Though this is possible, it seems Satan would almost have to have an omnipresence and omnipotence about him to do such a thing. And although Satan would like us to think he has these attributes of God, he doesn’t. (NOTE ADDED BY LAURA MAXWELL: I’d argue that demons can certainly do the above, as is witnessed by many paranormal experiences down the ages and cross-culturally and that it is one of their assignments). Was it a day to remember those who died in the Flood and a continuation of the sacrifices that Noah made after coming off the Ark? Because the celebrations call for the remembrance of the dead and have sacrifices, it is reminiscent of the large sacrifice that Noah and his family performed after the Flood. This would also explain why many other cultures have a variant of this regular sacrifice. 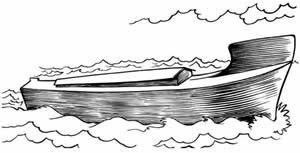 When Noah and his family exited the Ark, they offered sacrifices to God ( Genesis 8:18–9:1 ); of course, deviations in the manner of this sacrifice over the years and its meaning would have varied down through the ages. Based on the evidence, this seems to be the most likely explanation. Due to the many, varied accounts of celebrations of the day of the dead around the world, I would strongly suggest that its origin was a time when people groups were still gathered together or had closer ties. Is the event of Noah’s sacrifice where the day of the dead really originates? It is possible. It was a time when there was a sacrifice to cover sins and a reminder why death reigns in this sin-cursed world. It was a spiritual time, a time when people remembered that a sudden disaster, the global Flood, took virtually the entire population because of sin. Consider Noah for a moment: he even lost brothers and sisters in the Flood—the grief would have been overwhelming ( Genesis 5:30 ). Halloween’s roots could easily extend this far, but there should be no dogmatism about that being the case. Proper sacrifices in the Bible were associated with sin and death. This goes back to the first sacrifice in Genesis 3:21 when the first two humans (Adam and Eve) sinned against God. The perfect creation that God had made was now marred with sin that deserved death ( Genesis 1:31;Deuteronomy 32:4; Romans 5:12 ). The Bible says that the punishment for sin is death ( Romans 6:23; Hebrews 9:22 ). This is why we all die (return to dust)—we all sin ( Genesis 3:19; Romans 3:23 ). Due to their sin, Adam and Eve were ashamed of their nakedness. So, God made coats of animal skins to cover their nakedness. God sacrificed animals to cover this sin. In a fashion similar to God, Abel offered sacrifices from his flocks ( Genesis 4:4 ), and Noah did the same after the Flood. Later, the Israelites did this as well, giving sin offerings of lambs, doves, etc. as God commanded. But the blood of animals is not enough to remove sin; it is only enough to cover it temporarily ( Hebrews 10:4 ). Finite animals could never really take the infinite punishment from an infinite God. These instances of sacrificing animals were foreshadowing Jesus Christ, the Lamb of God—who, as the perfect infinite sacrifice on the Cross ( Hebrews 9:26, 10:12 ), fully paid for our sins so that everyone who trusts in Him will be saved and given eternal life ( John 3:16–18 ). With most of the celebrations of the days of the dead, sacrifices are involved. This suggests that cultures around the world understood this concept of sacrificing to God to cover sins. 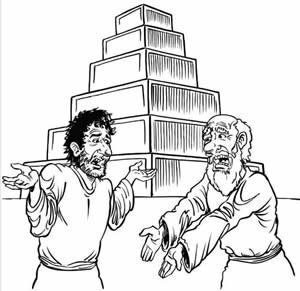 A Christian should expect this, since all people groups have descended from those at Babel. So, logically, when people migrated to different parts of the world after God confused their language, they took the concept of sacrifice with them. Of course, their methods and meaning of sacrifice changed and varied over the years, and the true intent was lost. For those who don’t think that Halloween has Satanic implications, please consider these words of Anton LaVey. This can be used as a tool for Christians to share the good news of Jesus Christ—by showing the true meaning of what sacrifices are and showing that Jesus was the final, perfect sacrifice, making sacrifices of animals no longer necessary. Sin and death (which sacrifice was a continual reminder of all the way back to Adam) have been conquered by the Son of God, and the free gift of salvation is now offered. PSALM 24:1 POINTS OUT THAT EVERYTHING BELONGS TO THE LORD. THEREFORE, THERE IS NO REASON TO LET SATAN HAVE HALLOWEEN. It should be obvious from a Christian perspective that many modern practices of Halloween and days of the dead have evil intent (e.g., 1 Corinthians 10:20 ). There has been considerable paganism that has been associated with Halloween over the years. Even evil acts such as vandalism, fires, destructive pranks, pretending people are something they are not by dressing up (and particularly by the glorification of sensuality, death, and demons) are in strong opposition to the fruit of the Spirit ( Galatians 5:19–23 ). So, a word of caution must be given to Evangelicals who promote some of the questionable modern practices of Halloween. If anything, an alternative in opposition to Halloween should be offered by Christians. Psalm 24:1 points out that everything belongs to the Lord. Therefore, there is no reason to let Satan have Halloween. It is not his day in the first place! When Satan tried to tempt Jesus, he offered Jesus something that was not his to offer ( Matthew 4:8 —all the kingdoms of the world). Jesus obviously didn’t succumb because it wasn’t Satan’s to give, nor did Satan exercise any authority over Him. Many today believe that Halloween is Satan’s day and recommend staying away from it. But recognizing such a thing would be to disregard that Satan owns nothing and that all days belong to God. Christians can take this day and make better use of it, such as by celebrating Reformation Day, a harvest festival of praise for a God who provides, an extra day of the Lord’s Supper to remember Christ’s sacrifice to end animal sacrifices, and so on ( Colossians 2:16–17 ). So where do you go from here? Please encourage your pastors and elders to have some sort of church function to counter modern practices of Halloween. Of course, one of the only nice things that Halloween really has to offer could also be involved—sweet treats (in moderation of course)! Death is a terrible reality for all of us—not something to celebrate or treat as fun. Death is the punishment for sin. Since all of us are sinners ( Romans 3:23 ), we must realize that death is coming. But God is a God of grace and mercy, and in His love He has offered a means of salvation through His only begotten Son, Jesus Christ, who suffered and died the ultimate death in our place. All who repent and believe can receive forgiveness of sins and eternal life. “For the wages of sin is death, but the gift of God is eternal life in Christ Jesus our Lord” ( Romans 6:23 ). Answers in Genesis and its Creation Museum seek to give glory and honor to God as Creator, and to affirm the truth of the biblical record of the real origin and history of the world and mankind. Part of this real history is the bad news that the rebellion of the first man, Adam, against God’s command brought death, suffering, and separation from God into this world. We see the results all around us. All of Adam’s descendants are sinful from conception ( Psalm 51:5 ) and have themselves entered into this rebellion (sin). They therefore cannot live with a holy God, but are condemned to separation from God. The Bible says that “all have sinned, and come short of the glory of God” ( Romans 3:23 ) and that all are therefore subject to “everlasting destruction from the presence of the Lord and from the glory of His power” ( 2 Thessalonians 1:9 ). But the good news is that God has done something about it. “ For God so loved the world that He gave His only begotten Son, that whoever believes in Him should not perish but have everlasting life ” ( John 3:16 ). Jesus Christ the Creator, though totally sinless, suffered, on behalf of mankind, the penalty of mankind’s sin, which is death and separation from God. He did this to satisfy the righteous demands of the holiness and justice of God, His Father. Jesus was the perfect sacrifice; He died on a cross, but on the third day, He rose again, conquering death, so that all who truly believe in Him, repent of their sin, and trust in Him (rather than their own merit), are able to come back to God and live for eternity with their Creator. Therefore: “ He who believes in Him is not condemned; but he who does not believe is condemned already, because he has not believed in the name of the only begotten Son of God ” ( John 3:18 ). WATCH A THREE MINUTE CLIP FROM THE DVD! I am hesitant to call this a holiday, since a holiday is a “Holy Day” and there is little, if anything, holy in today’s Halloween. But for the sake of this article, I will call it a holiday. The Celts were descendants of Gomer and were often equated with ancient Gauls or Galatians. For more on this see the book Tower of Babel: The Cultural History of Our Ancestors, Bodie Hodge, Master Books, Green Forest, AR, 2012. Ancient Origins of Halloween, History.com (A&E Television Networks, 1996–2008). “Halloween,” Encyclopædia Britannica (Chicago: Encyclopædia Britannica, 2008). The modern definition and use of the term saint in the Roman Catholic Church was not instigated until 1588 by Pope Sixtus V. At this point, Catholics began their stage of proclaiming saints in a three-step procedure: Venerable, Blessed, and then a “Saint.” There is no reason to assume that before this, saints were different than the view of saints that Protestants held to. Even Luther used the term saints correctly in his 95 Theses and had no complaint toward its use. It wasn’t until after Luther that the word was redefined, and its use was corrupted. The date is the tenth day of the month of Tishri on the Jewish calendar. When translated to the current Gregorian calendar that we use today, it falls in September or October. The Jewish calendar has a 360-day year, with a leap month every few years to get it back to about 365 days per year. So, the date moves around on the Gregorian calendar. James Ussher, The Annals of the World, translated by Larry and Marion Pierce (Green Forest, AR: Master Books, 2003), p. 18. I doubt that Noah’s death was the reason for the days of the dead since Noah lived for about 250 after the event at Babel if Ussher’s calculations are accurate. Though it is possible that news would have spread through the world about Noah’s death, it seems less likely so many years after the dispersion of Babel. Alfred Rehwinkel, The Flood: In the Light of the Bible, Geology and Archaeology, 17th Printing (St. Louis, MO: Concordia Publishing House, 1951), pp. 169–171. 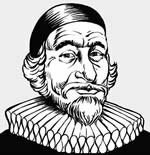 John Urquhart, in Bible League Quarterly. October–December 1931, pp. 181–183. 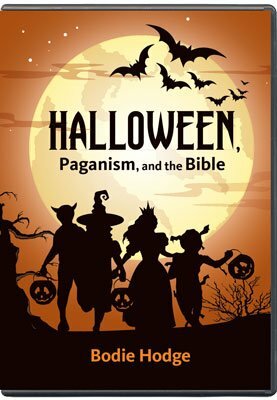 Halloween, Paganism, and the Bible by Bodie Hodge and others. In this powerful presentation, Bodie Hodge addresses the origin and purpose of Halloween, while showing its roots in Paganism dating back to times before Christ and potentially prior to the dispersion at the Tower of Babel. What does Halloween actually celebrate? Throughout the United States, Halloween, along with its variants across the world, has become one of the most popular unofficial “holidays.” Department store lines are filled with people buying candy, costumes, and decorations. But what does Halloween actually celebrate? Bodie Hodge addresses the origin and purpose of Halloween, while showing its roots in Paganism dating back to times before Christ and potentially prior to the dispersion at the Tower of Babel. Throughout this powerful teaching, Bodie continually looks to what the Bible says about the topics as he reflects on how we as Christians should respond. For a list of Halloween posts from my blog, including my own TV interviews or my radio interviews with Former Occultists, please see my link. This entry was posted in Angels, Apologetics, Apostasy, Archaeology, Books, Catholicism, Challenge & Test The Spirits!, Church Issues, Dead People, Deliverance, Divination, Druidism, Ghost Hunting, Gnosticism, Gothic, Halloween, Harry Potter, Hauntings, New Age Luciferianism, Occult, Paganism, Poltergeists, Radio Programs, Residual Energies, Sage, Samhain, Satanic Ritual Abuse, Satanism, Seance, Shamanism, Spirits & Ghosts, Spiritual Warfare, Spiritualism, SRA, Supernatural, Table Tipping, Tarot Cards, The New Age, The Ouija Board, Wicca, witch, Witchcraft and tagged AIG, Alfred Rehwinkel, All Hallow Evening, All Saints Day, All Souls Day, Animal Sacrifices, Answers In Genesis, Archbishop Ussher, Babel, Blood Rituals, Blood Sacrifices, Bodie Hodge, Celtic, celtic magick, Celtic Witchcraft,, coven active, Day of the Dead, Day of the Skulls, Día de los Natitas, dead ancestors, Dead People, Deliverance, deliverance minister, Druidism, Druids, El Día de los Muertos, Ex Illuminati, Ex New Ager, Ex Occultists, EX Satanist, Ex Satanists, Ex Soldier of Satan, Ex Spiritualist, Ex Tarot Card Reader, Ex Wiccan, Ex Witch, Exorcism, Feast of Samhain, Feralia, festival of the dead, festivals of the dead, Finados, Halloween, Halloween Alternative, Halloween costumes, Halloween season, Harvest Festival, Human Sacrifices, I Hate Halloween, LaVeyan Satanism, Mexican Day of the Dead, Modern Satanism, Noah, Noah's Flood, occultic ritual sites, Pagan, pagan festival, pagan gods, Pope Boniface IV, Pope Gregory III, Reformation Day, ritual, rituals, Samhain, Samhuiin, Satanic Bible, satanic bibles, Satanic Calendar, Satanic Covens, Satanic Ritual Abuse, Satanism, Sexual Demons, SRA, The 9 Satanic Statements, The Annals of the World, The Flood, The Ghost Festival, The Satanic Witch, Theistic Satanism, Tower of Babel, Types of Satanism, Witch, Witchcraft. Bookmark the permalink. 3 Responses to History of Halloween and Why Other Cultures Celebrate a ‘Day of the Dead’ too. Yes halloween is just treated as a party time by kids in Australia without any knowledge why they are celebrating it. Danielle I dont know what city you are in but in Sydney I used to work on the north shore yuppie suburbs. I would see kids dressed up and going door to door expecting candy, this is home delivery for pedophiles but the dopey parents dont seem to care. Halloween is a groupthink madness where anything and everything goes, its quite an opportune time for satanic sorcery. Add in the situation of more ‘mad’ people you can encounter in everyday life, I see people who are not homeless and who are well presented talking and ranting to noone. I seen so many like this that it defeats the laws of mathematics, so I can only conclude that they must be talking to someone or something. They cant all be mad and they cant all be talking to noone. Hi Leon, I’m in Scotland, UK. I know what you mean! it’s Simone from Australia.Thankyou so very much for your hard work and helping to educate people about the serious dangers of siding with the enemy. Your blogs and information are so brilliant and I thank God that He’s using you to help to educate and inform people. I too,used to like reading ghost stories when I was a child, and since I’ve been a christian,since I was 11 years of age. (I’m 43 now), the spirit world really still interests me,but from Gods point of view.